Crookwell is a small town in the Southern Tablelands of NSW about one and a half hours from where we live. To get there we must travel through Trunkey Creek, Tuena and Binda. The area is steeped in history, with pastoral settlements from the 1820's and gold mining settlements from the 1860's. It is a rugged and relatively unexplored area considering its proximity to Sydney, and a drive that I think every Aussie should do at least once, and one I will explore more in-depth in another post. Today's destination though was the Crookwell Potato Festival. From the 4th to 6th March 2016, Crookwell hosted its annual potato festival and while that might not sound like the most exciting thing on the planet (though personally we are enthusiastic potato fans, they're just so versatile and delicious) it is more than homage paid to a vegetable, it is a broader celebration of Australian heritage, community and innovation. We started the day with a look at the markets in Memorial Oval, where local produce was being sold and potato cooking demonstrations were held. We then walked a couple of blocks over to the Memorial Hall where we perused the pre-loved book sale and admired the local works in the art gallery. In the hall we also found the quilt show, upon entry to which we were asked if we'd like to participate in the viewer choice judging. Well yes, of course we would. With pencils and voting slips in hand we examined aisles of beautiful quilts, struggling to choose just one favourite. Following that we headed 5 km out of town to the Kadwell farm where we saw a heavy horse working display and then climbed aboard an old farm truck for a guided tour of the certified seed potato and eco farm. It's fifth generation family owned and has been in operation since 1901, and I have to say I was impressed. 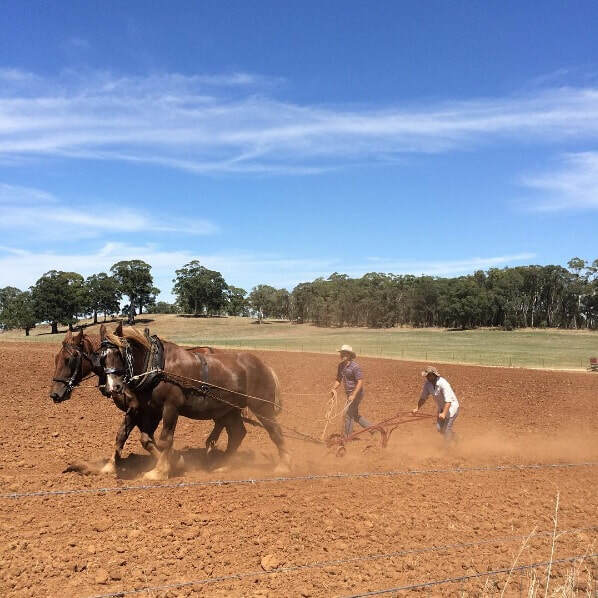 Both by the family's passion for the land and the efficiency of their operation. 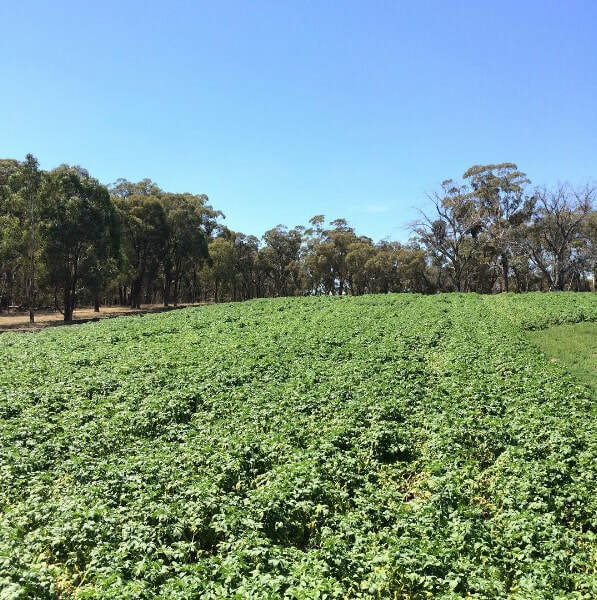 Crookwell is situated in a seed potato quarantine area and is ideal for growing seed potatoes because of its high altitude which makes for cold winters. The ground freezes completely killing any pathogens that may affect the potatoes. The farm also produces prime lambs on a rotational system with the potato crops, as one paddock can only be used for a maximum of 5 consecutive years for potatoes to keep the crops disease free. Thirty-two percent of the property comprises of conservation areas including remnant woodland and a formed wetland. Bird surveyors have counted 147 species to date. The tree lines and patches of scrub not only provide protection for ewes lambing in the harsh Crookwell winters but also habitat for native animals such as wombats, kangaroos and echidnas as well as dainty native orchids. Back into town to finish our visit off with some yummy jacket potatoes, prepared to perfection by the local Rotary Club, which we sat in the park amongst the vintage car show to enjoy. If you're interested in attending next year, the festival has a great website.